While we wait for today’s final round game to start, let’s look back at the season. 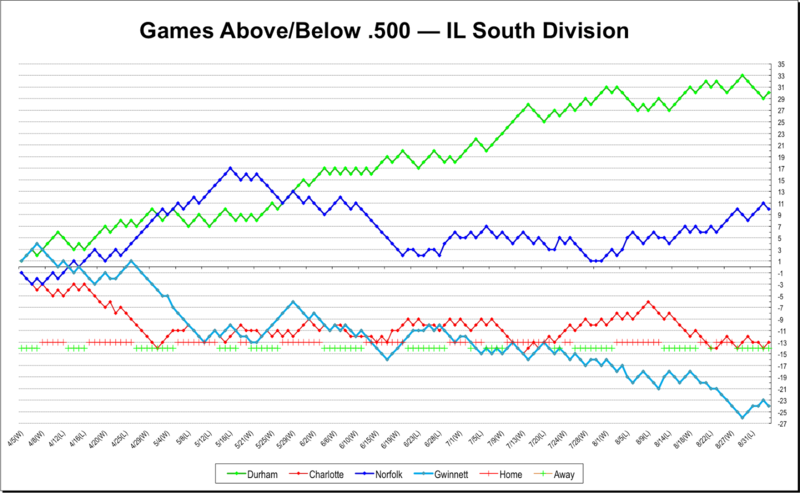 The first chart is essentially a day-by-day look at the South Division of the International League. 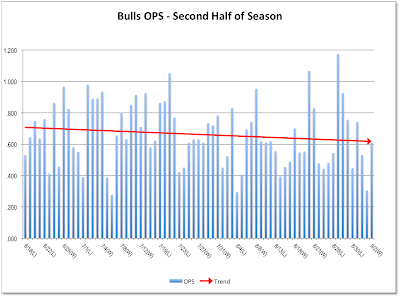 The Bulls broke out about mid-June and never looked back even if the pace of growth slowed. Click on any chart for a larger view. 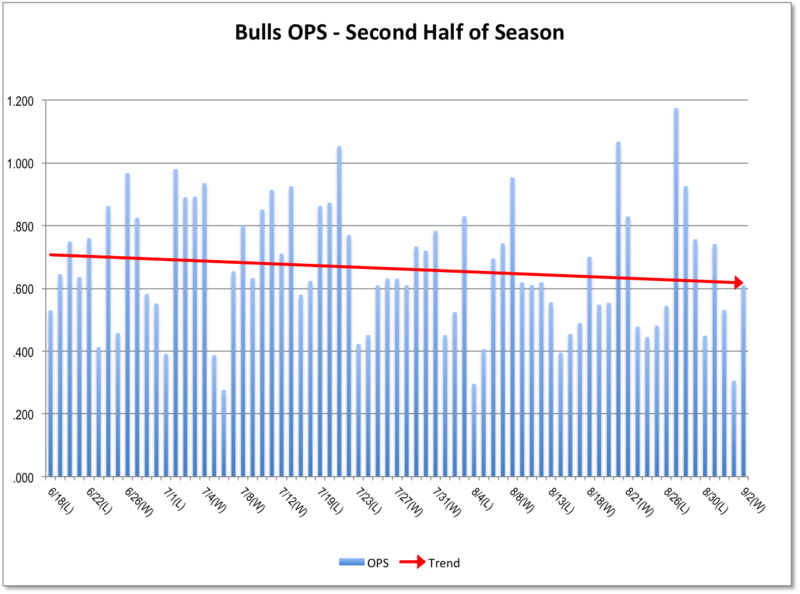 On the other hand, the Bulls were winning those games by fairly small margins. 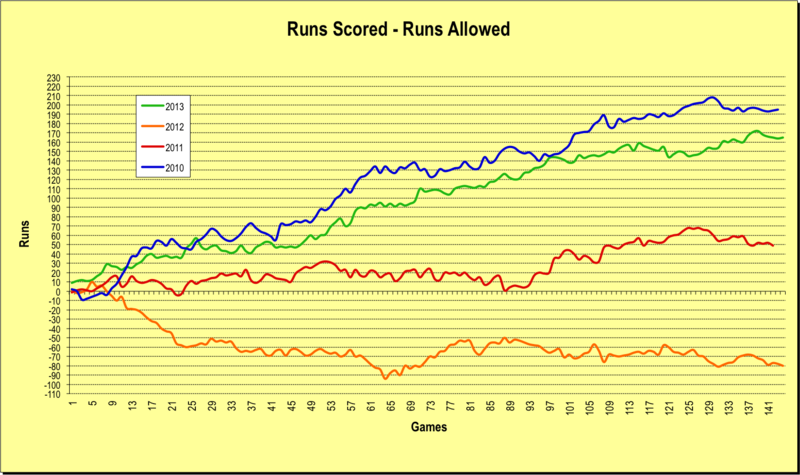 The growth on the runs scored/runs allowed chart wasn’t quite as dramatic. 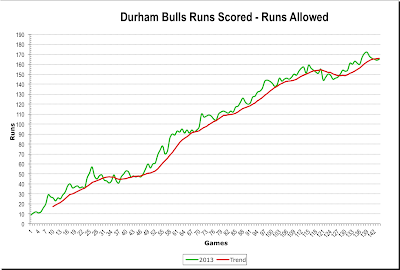 In fact, compared to 2010, also a winning year, scoring runs was not the Bulls strength. 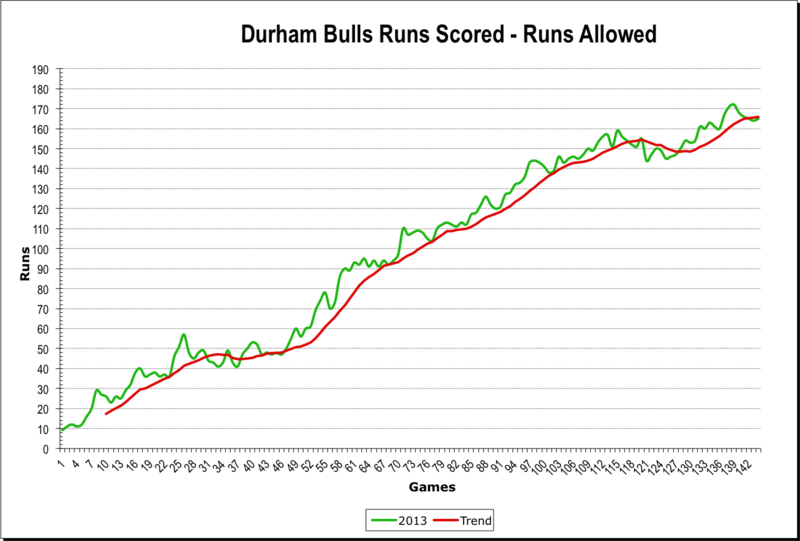 That’s also born out by a look at their hitting over the last half of the season. 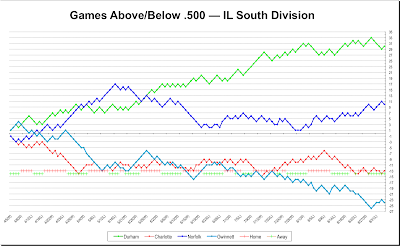 Pretty good, with game-by-game OPS staying above .600. But that isn’t all that exceptional. 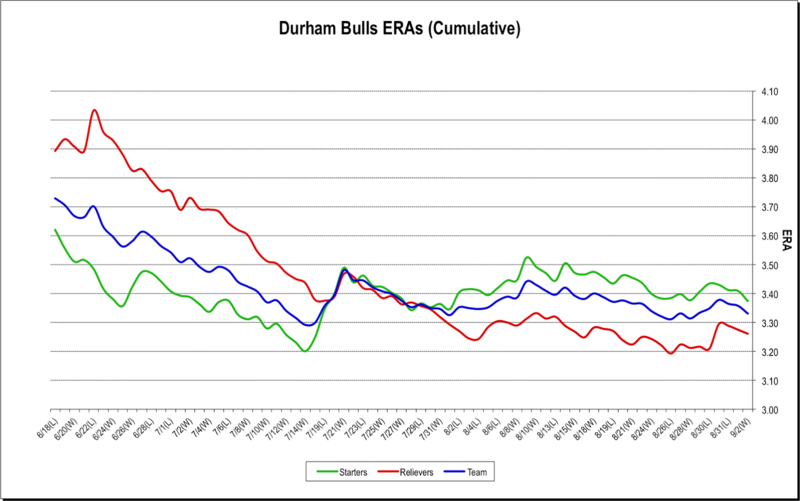 Here’s what is exceptional, the second half of the season’s pitching. 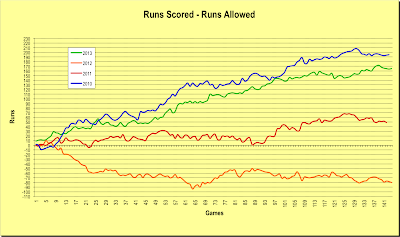 Look at the drop in the cumulative ERA in the second half. That is remarkable pitching by both the starters and the relievers. Gathering to Welcome Bulls Home? 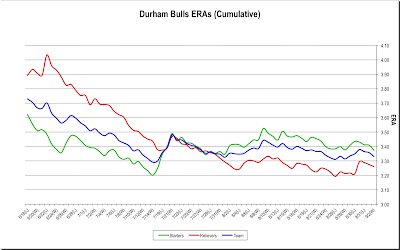 So, How’s That Working Out Tampa Bay?